What Is Epazote and How Is It Used? The epazote herb is commonly used in the cuisines and traditional medicines of central and southern Mexico and Guatemala. Epazote has a strong taste and aroma, so not everyone takes to it right away. It can be somewhat of an acquired taste, but it adds a wonderful rustic layer of flavor to many dishes. While it is best to use fresh epazote, the dried form can be used if no fresh herbs are available. The peak season for the herb is in winter, but it is available year-round. Epazote (pronounced eh-pah-ZOH-teh) is an aromatic herb; both the fresh leaves and tender stems are used in cooking. The epazote plant is a leafy annual or short-lived perennial plant that can reach 4 feet in height. Its dark green, long, slender, jagged leaves end in a point. The flowers are green and very small; they produce thousands of tiny seeds. As an herb, it is suitable for gluten-free, vegan, vegetarian, and paleo diets. Native to Central America, epazote has been grown for culinary and medicinal purposes for countless generations. This herb is used in everyday cooking in the southern Mexican state of Oaxaca and the Yucatan Peninsula among the Mayan-speaking peoples. Epazote has spread as a weed (growing in empty lots and by roadsides) throughout a large part of North and South America and even into Europe and Asia. The word epazote derives from Nahuatl, the language spoken by the ancient Aztecs. A literal translation to English would be something like “stinky sweat” (not very appetizing!). In some parts of Mexico and Guatemala, the plant is called pazote, ipasote, apazote, hierba hedionda (“stinky weed”), pazoli, and pizate, In Peru, it is known as paico, a word that comes from Quechua. In English it is sometimes called goosefoot, skunk weed, wormseed, or Mexican tea; the last two of these terms allude to its medicinal use to combat intestinal parasites. Epazote has a somewhat pungent flavor profile and is described by many as “medicinal." It has notes of oregano, anise, citrus, mint, and even tar or creosote. The most flavor is provided by the fresh leaves and stems, and older leaves have a stronger flavor. Dried epazote is available, but as with cilantro, the flavor is much reduced in the dried form. The flavor compounds in epazote do not stand up to heating for a long time, so the herb is added to dishes near the end of cooking. The tender leaves and stems are used, with fresh being preferred, but dried can be substituted. One teaspoon of the dried herb is the equivalent of one fresh stem. Aside from its function as a flavoring, epazote is also purported to reduce the gas and bloating experienced by many when eating beans and cruciferous vegetables. Epazote is most frequently used to season frijoles de la olla (pot beans), especially when they are black beans. It is also common in stews and rustic dishes made with mushrooms or corn. A sprig of the herb is often used inside a quesadilla made with corn tortillas. Leaves and stems of this plant are used almost exclusively in its fresh form in its native land. Bunches of it can be purchased in some Mexican grocery stores or farmers markets. If you can’t get it fresh, grow your own; it is an easy-to-grow and hearty annual. Epazote seeds are available online if they aren't stocked at your local garden center. If you are unable to get it fresh and can’t grow it, then at least try to get some of the herbs in dried form. You are most likely to find these at a Mexican grocery store or in the Hispanic foods section of a well-stocked supermarket. The flavor of the dried form of this herb will be much less intense, but it will give you an authentic Mexican flavor profile that you can’t get anywhere else. Store fresh epazote either by placing the stems in a glass of water (like cut flowers), or wrap the leaves in a damp paper towel and place it into an unsealed plastic bag. You can freeze leaves of epazote in an ice cube tray filled with water. One frozen cube will give you the usual amount called for in most recipes. This herb has been used in traditional herbal medicine for centuries to treat intestinal parasites in humans and domestic animals. An epazote tea is made from the plant’s leaves and flowers and ingested in moderate amounts. Intestinal cramps and other stomach and liver problems may be treated in the same way. Epazote can be toxic when ingested in excess, so this treatment is not used in contemporary Western medicine (human or veterinary) because safer effective remedies exist. Cases of overdose and death are attributed to consuming the essential oil of epazote. 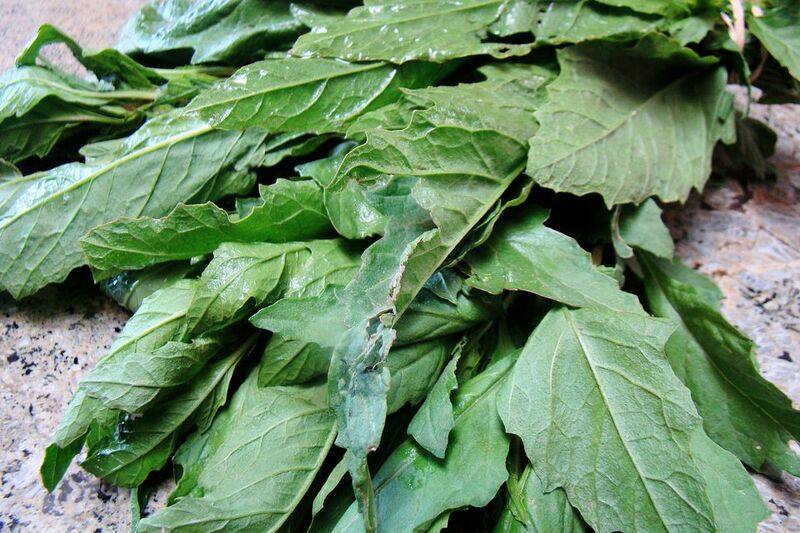 It is recommended that pregnant women avoid large amounts of epazote.